If your dog has normally a good eater but has suddenly started turning away from his regular food, then it could be a sign of depression. However, changes in appetite could be due to several other factors such as changes in the environment routine, the use of a different kind of dog food, diseases and so on. Try to cheer up your dog by adding some chicken soup or stew to its dry kibble. One can also change the brand or type of food. If despite these changes your dog continues to fast, seek medical attention. 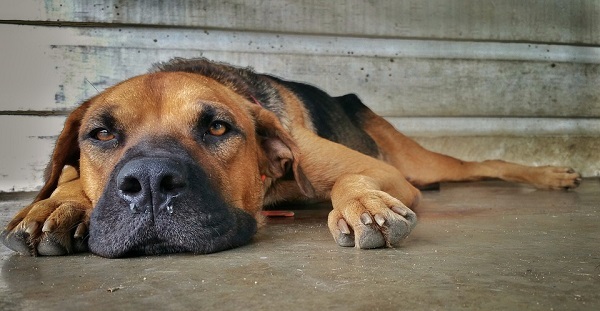 A depressed dog will look sad and not only stay away from food-it might even give up water. This can lead to serious health issues including constipation. Observe the dog for a few days and if s/he continues to not drink, you might want to take it to a vet. Try feeding it some chicken broth or stew. If your dog is depressed take it out for walks frequently. A long walk with you is just what is needed to cheer up depressed pet. Some depressed dogs may not feel up to it. If that’s the case, come up with some clever ways to take it outdoors. For example, you could take it out for a spin in the car. Some dogs are plain lazy. Observe the dog over the next few days. Has it always shied away from exercise? Most dogs love going outdoors and if that has been the case with your pet, then chances are it is depressed and not lazy. In case of dog depression after death of another dog, your pet might hide or try and isolate self. It will also seem sad all the time. Hiding under the bed or table are common signs seen in dogs who lose another dog from their pack. S/he might also withdraw from social interaction. Give it some time. Shower extra love and attention. Try not to leave the pet alone for long periods. Over time, it will get over the sadness. Your pet will also be vocal about pain which accompanies depression. It might whine, howl, whimper or yelp. Groaning and grunting are also some signs that something is amiss. Your dog might show signs of restlessness. It may be reluctant to move. In case of pain in the abdomen, it might get up and lie down several times. Trembling, circling, lying are some other signs. If a limb is painful, it might try and hide it or protect it by not putting pressure on it. Some dogs who are depressed try to mutilate their body parts. Licking, biting and scratching are some signs. Try to distract the dog from doing so. Give it some toys to divert its mind. You can also use a collar to prevent self injury. Have you recently moved to another home? 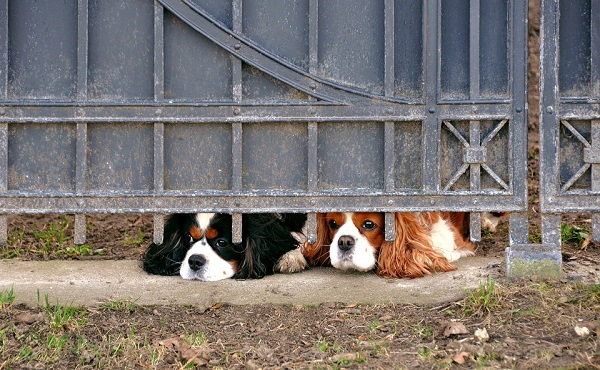 Chances are your dog misses its old place. Addition of a new member to the family can sometimes trigger jealousy while death of a human companion can also cause depression in dogs. These things just take some time-most pets overcome it in a few days. 8. Is your pet left alone for long periods? Dogs left alone for long periods of time are usually more likely to feel depressed. Make sure you exercise it adequately and also keep it entertained with toys. In most cases, dog depression goes away in a few weeks, sometimes months. Continue showering extra TLC on your dog during this phase. Be careful you do not spoil the pet and encourage bad behavior. For example, if the dog is destructive, do not reward it with treats. This works in dog depression after death of another dog. You need not buy/adopt a dog again. Try a turtle, kitten, bird or other pet species. You can also take him to a park or dog day care so he can socialize with other animals. Take your dog out for a long walk or play fetch. Shower love and attention. Groom the pet by bathing and brushing its coat. There are many herbal/natural remedies for treating depression in dogs. These are better than using harmful chemicals. A prominent remedy is St. John’s Wort. Talk to a vet to guide you. 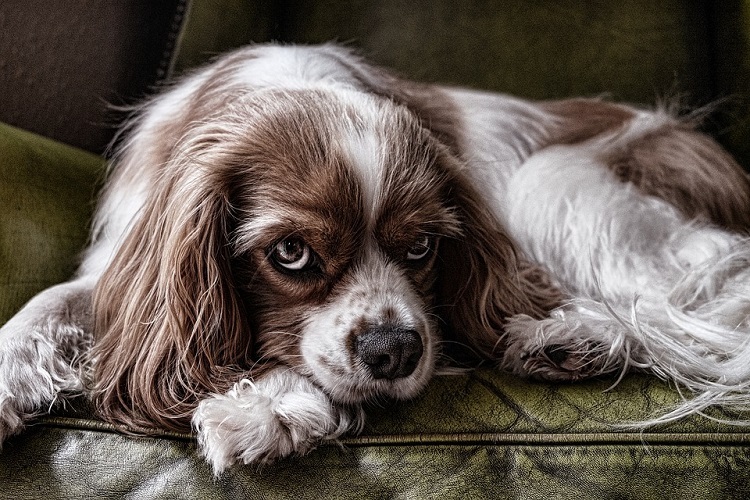 Canine depression is common but with these tips and ways you can avoid and treat it quickly.